Now, that should come as no surprise to anyone who is familiar with Sarver and her background. Sarver is running the show as director of coaching after directing the U.S. Under-19 women’s national team and being an assistant coach in various capacities with the organization, including at the U-20 level. Needless to say, Sarver was welcomed back to the club on a fulltime basis by founder and director Zdravko Popovic. “Obviously, having her back right now is a blessing,” he said. “Her exposure and experience at the national level and the experience and knowledge that she is bringing back to share with the youth within our club, I am ecstatic and happy to have her back. Her contribution to the growth and development of our members is above and beyond. I am happy that she had this opportunity and I am happier that she is back now. What she is bringing back to the club is priceless after serving for U.S. Soccer for eight years, the last two as the U-19 national coach. Sarver’s learning curve was great, and she hoped to share much of that with the players, coaches and staff in the club. “I learned every single day,” she said. “I learned from players at the highest level, they taught me just as much as I taught them. I think it was mutual. When you’re working with players who are driven and are pursuing excellence and trying to be the best at what they do, you have to find new ways to help them reach their goals. 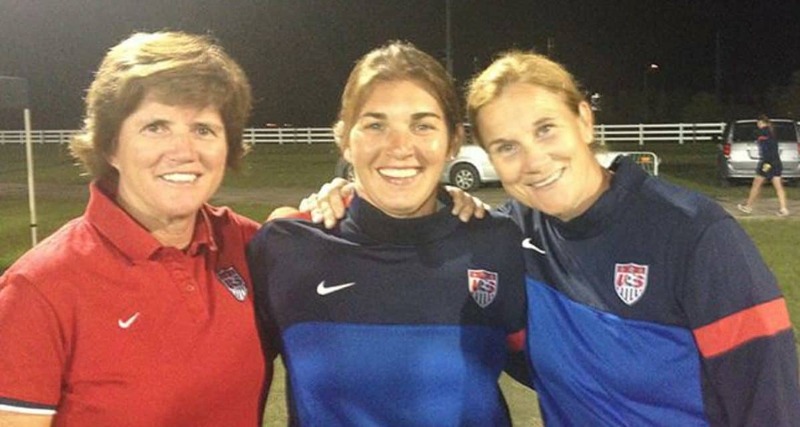 “During each international event, I learned something new, whether it was reading the opposition, or gaining a better understanding of your players as you see them deal with a different style of play, or finding new solutions to break down an opposition. In scouting, sometimes you learn a little about that country culturally as well. We also had an amazing support staff. Whether it was educating players on their nutrition, their recovery habits, or analyzing GPS data – sports science is helping players reach new levels, I think I have learned a lot in that realm that I hadn’t been using as a club or previously as a college coach. Sarver’s journey took her to about a dozen countries. One of her major highlights was an assistant coach on the team that participated in the FIFA U-20 World Cup in France last summer. One single experience did standout — when the U.S. defeated Iran, 5-0, in the CFA International Women’s Youth Football Tournament in China in 2017. It wasn’t the final score that stood out, but the way the Iranians comported themselves. Iran recently implemented a women’s youth national team program. Sarver’s passion, background, experience and coaching ability did not surprise former U.S. women’s national head coach April Heinrichs, who had brought the Jackson High School graduate onto her staff. Heinrichs, who recently retired as the youth women’s national team director, who was named the 2019 winner of the Werner Fricker Builder Award. She will be honored at the U.S. Soccer Annual General Meeting in Scottsdale, Ariz. Feb. 14-17. Now, returning to ISC is another no-brainer for so many reasons. “This is so special,” Popovic said. “She had the option to either to pursue or enhance her personal goals and such or to come back and share and give it back. It speaks the value of one’s commitment and dedication of one’s loyalty to see the value of the character. … I refer to the International Soccer family. She’s definitely a leader of it. the club’s philosophy of player development remained the same. “We operate on a club-based model, so, organizationally nothing has changed even though I have been away for a couple of years,” she said. “It’s exciting. I love working with young players and being able to inspire them and making an impact in their lives. That’s one of the things I love about coaching youth soccer. You see a player come into our club at the age of eight or nine and watch her develop, not only as a player, but as a person. Not only watch, but you have a hand in her development. So. 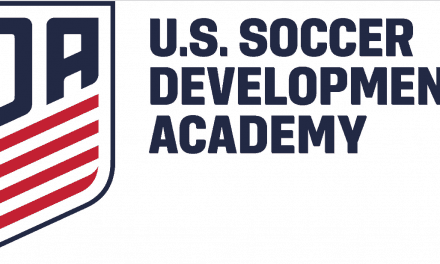 our coaches are very much committed to developing soccer players and developing people. Now, its Keri Sarver’s turn to continue to build on the foundation and continue the club’s tradition. After all, Sarver has soccer and the ISC in her blood.